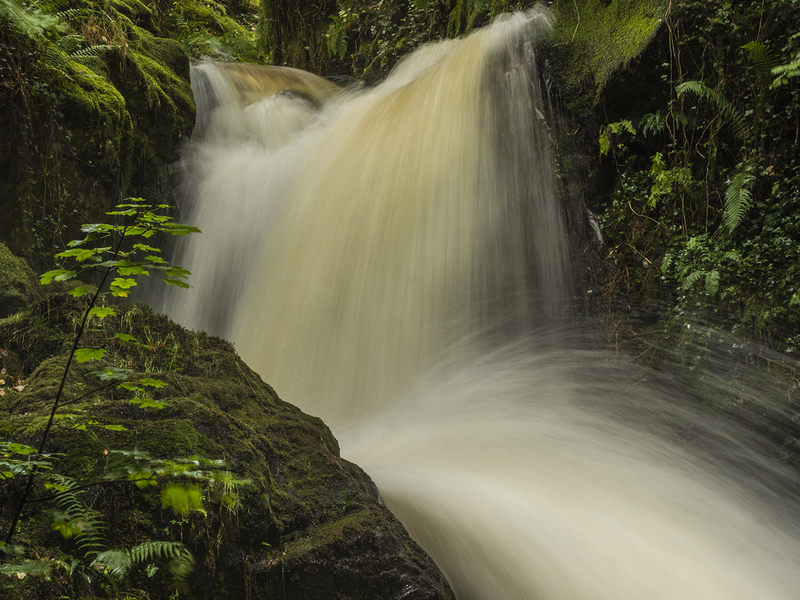 Waterfalls are notoriously difficult to photograph, so what is the problem? They are easy to overexpose, even in lowlight because they are often secreted in a dark corner of a hillside, overhung by heavy foliage, therefore rendered as a bland white. When peat is washed down there is a subtlety of colour that requires preserving. Overexposure is caused by Matrix and Auto reading too much of the dark foliage bordering the falls, therefore control by spot-metering is essential. Now the foliage is underexposed, but easy to correct in post-production. When making corrections in Lightroom or Photoshop, saving to RAW offers the photographer greater flexibility than JPEG and that has been executed here. The river bank has been lightened without affecting the water. Incidentally, the shutter-speed is 1/4 second. It is handheld courtesy of the Olympus OM-D E-M1mkii image stabiliser aided by the additional stabiliser in the 12-100 Pro Lens. The falls are blurred, but the river bank is sharp except where affected by the torrent. Also the deployed focal length of the lens is 57mm (114 in film), therefore increasing the risk of camera shake!